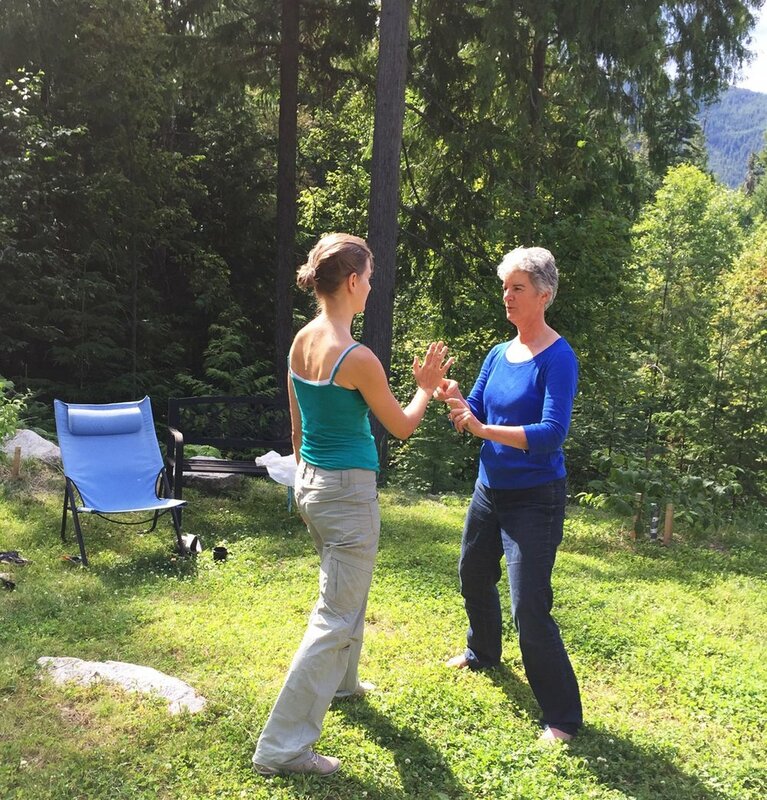 In 2014, Myrna and her husband Ken began offering two week Pre and Perinatal Education residential intensives every summer at their retreat center nestled in the pristine mountains surrounding Nelson, British Columbia. They continue to be an enriching experience to all that attend, and the center is now branching out. This retreat will include in depth personal experience as well as a chance to practice skills to utilize everyday in your work while in a safe, nurturing, supporting surround. The intensives are very appropriate for Craniosacral Therapists and anyone who works with families in the child bearing or early years, or who works with adults therapeutically. *Please plan to arrive on the Sunday prior to the start of your Intensive. We will gather at 7:00 pm for dinner on Sunday. You are free to spend your weekend exploring the beauty and pleasures of Nelson or quietly integrate the study material. This educational retreat, in the pristine mountains of the Nelson area, offers the lake and gardens to hike, bike, kayak and enjoy other various water sports. The community is alive with vibrant arts and music to enjoy as well. Those 2 weeks reconnected me to not only my own self but to the understanding that is was not just about me. I felt compassion for my own Mom and how hard it was for her as well. It opened a window in my heart that had been sealed from the time I entered into this world. I am grateful for all of you being a part of the journey of my soul. It was amazing and as time goes by and I reminisce it becomes even more magical. Understanding the primal period, from preconception through the first year of life is vital for anyone who works therapeutically with people, including infants, children, families or adults. The intensive includes doing many shorter exercises in triads, with hands on support, as well as cognitive learning, including handouts, videos and live teaching. We study practical strategies for healing early developmental trauma as well as have opportunities for personal healing work and practice facilitating others. This Intensive is at least 50% experiential. Each participant has an opportunity to do a longer 2 hour session with the facilitators. 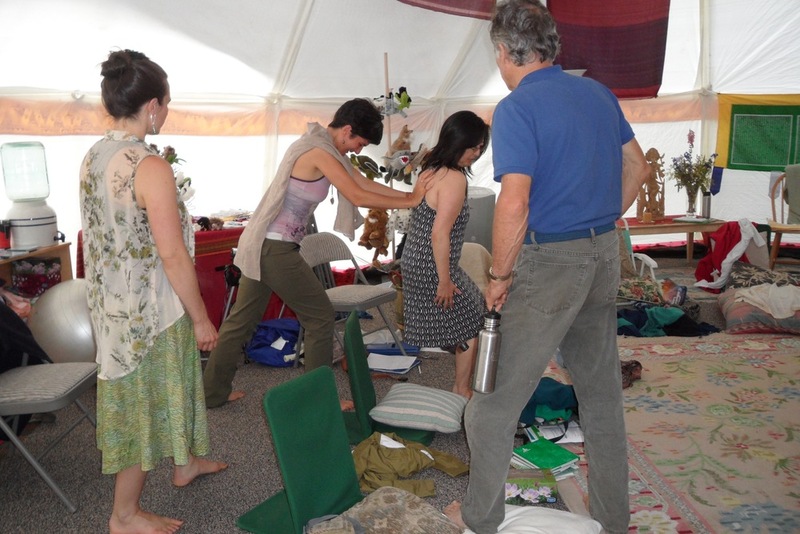 This intensive is highly experiential. In preparation for level two, participants will be asked to research their family history, stories and patterns. We will experientially and cognitively learn how to work with these double bind imprints in a liberating way for ourselves and others. The skills and processes learned are transferable to our personal lives and to many different types of professional healing practices. Each participant will also have a 2 hour session with the facilitators in a small group setting. This retreat is for people who have already attended a beginning intensive, or others who have education in Pre and Perinatal Psychology and Health on an individual application basis. This Intensive will be very experiential, with the emphasis on practitioner skills & there will be a preparatory project on relationship patterns. We will be studying how to work with couples and 1:1 with adults from a somatic and attachment perspective. We will study the adult attachment style interactive nature of couple and other adult relationships, such as in small process oriented group work. Early developmental imprints will be considered. We will explore the larger relational field through a family constellation model. Each person in the intensive will be supported to do a family constellation. The curriculum will focus on sand tray, art, movement, (including Continuum and other movement), and sound. It is open to graduates of Myrna Martin’s and Ray Castellino’s Professional Trainings, and people who have completed Level 3 of Myrna’s Summer Intensives. Cabins have two twin beds, dressers, lamps, carpet & a screen door. Cabin rooms will be assigned to people with accessibility issues first, and then on a first request basis. Enjoy locally sourced organic meals prepared for your specific dietary needs. Vegetarian or non-vegetarian; dairy and gluten free options are also available. Arrangements will be supported for people coming from the USA to fly into Spokane, Washington to connect and share a car rental to Nelson. Often, reasonable prices are available to Castlegar, BC There is also an inexpensive 30 minute shuttle to Nelson, BC. Listen to Lee Reed, a student of Myrna Martin, as she shares how Pre and Perinatal Education has influenced her life and work.